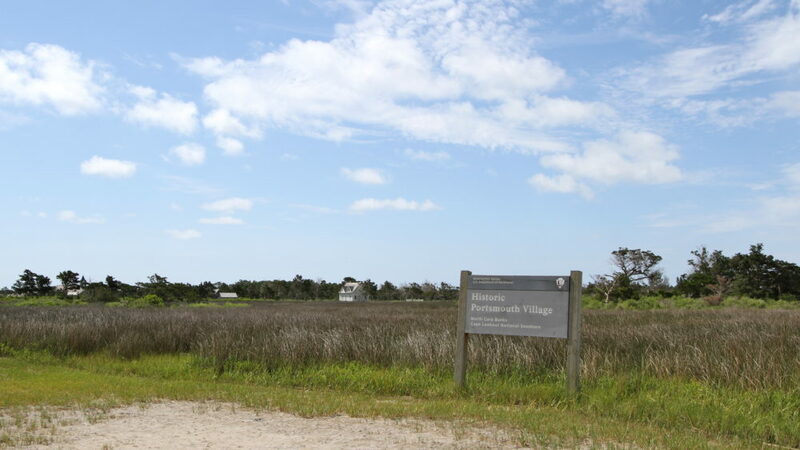 A few hours from us, on one of the island of the Cape Lookout National Seashore, is an abandoned fishing village we’ve been wanting to visit, and we finally made it. 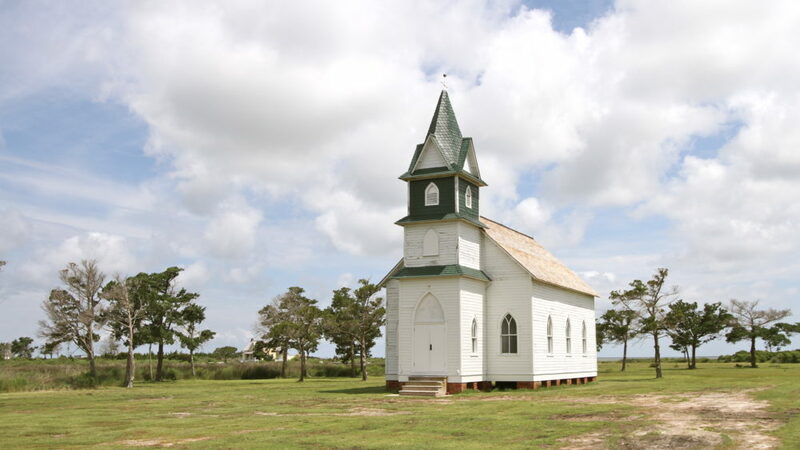 At one point during the colonial period this was one of the busiest ports in North Carolina, mainly unloading cargo from ocean going ships, and onto smaller ships that could navigate the sounds, but for various reasons slowly became deserted, with the last residents leaving in 1979. It was really amazing how well preserved it still was. It really was an amazing place to walk around, there were maybe 20 visitors total. We’ll definitely come back here in the fall, when there are fewer bugs (they weren’t too bad, but bug spray was definitely necessary) and cooler weather for walking. 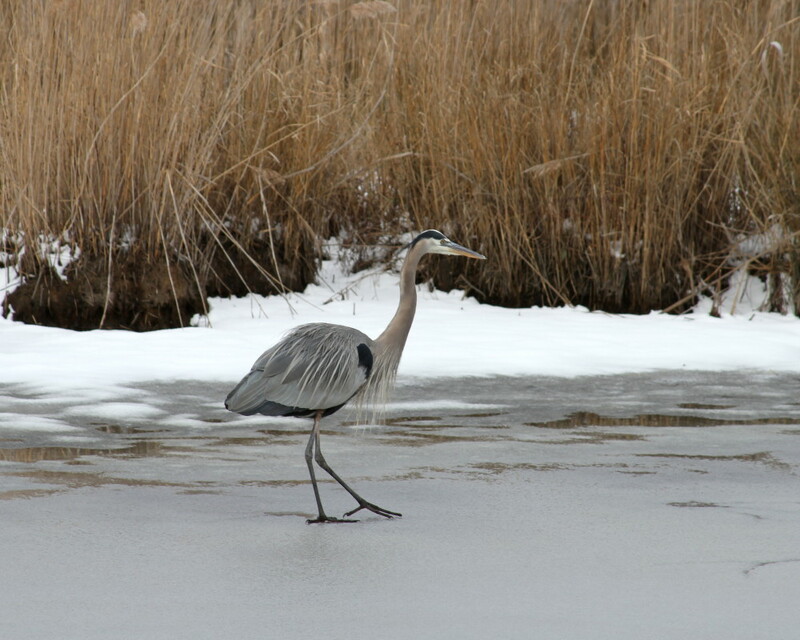 For more information, check out Friends of Portsmouth Island. This entry was posted in Hiking, Travel on July 11, 2016 by RyanMcGurl. A few weekends ago we were able to take some time and spend a few days on the Blue Ridge Parkway. It is one of my absolute favorite places. So beautiful, I love the mountains, the waterfalls, the colorful foliage in the fall, and the wildflowers in the spring. I also love how easy it is to use, with scenic overlooks every few miles, campgrounds, picnic areas, and hiking trails. View from one of the scenic overlooks. The reward for hiking the Cascades Trail, actually a pretty easy hike. Rhododendrons in bloom at Craggy Gardens. I was hoping to see these in bloom, and I did! This entry was posted in Hiking, North Carolina, Spring, Travel on June 21, 2016 by RyanMcGurl. This week I took a day to drive up to Pettigree State Park, about 2.5 hrs away. Its a beautiful area surrounding Lake Phelps, and the shoreline is populated by these amazing bald cypress trees. When I first moved to the south, from New England, almost 10 years ago I was fascinated by these trees standing in the water. 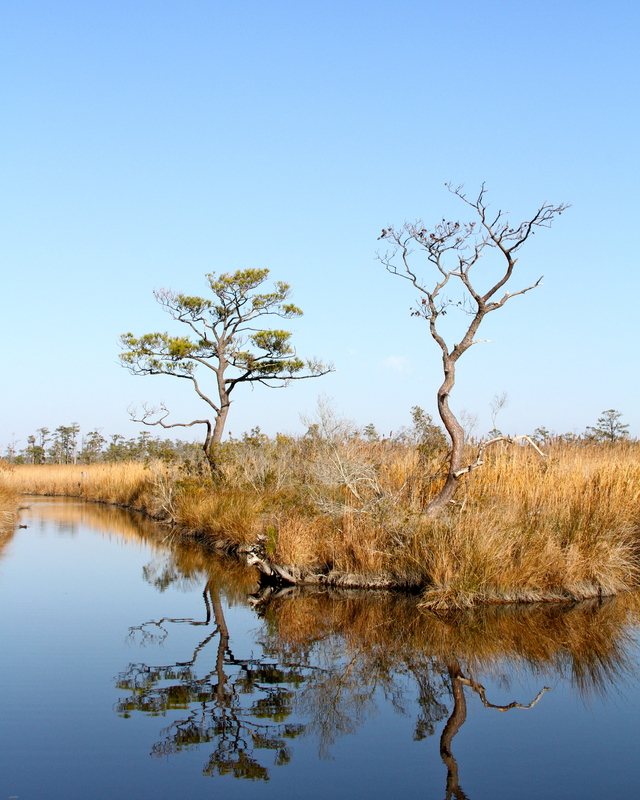 We had marshes and bogs up north, but nothing like the cypress swamps found on the coastal plain. The size of these trees is amazing, some of them must be more than five feet in diameter at their base, and I can only imagine how old they are. This entry was posted in Hiking, North Carolina on March 4, 2016 by RyanMcGurl. Its easy for me to get stuck in a rut of always going to the same places. Hard to believe, but I do get tired of always walking on sandy beaches, I like more variety. Also, even though we’ve lived here for almost 3 years, there is still a lot in the area we haven’t taken the time to explore yet. So, last weekend I decided we were taking a day trip to a state park about 2 hours away. 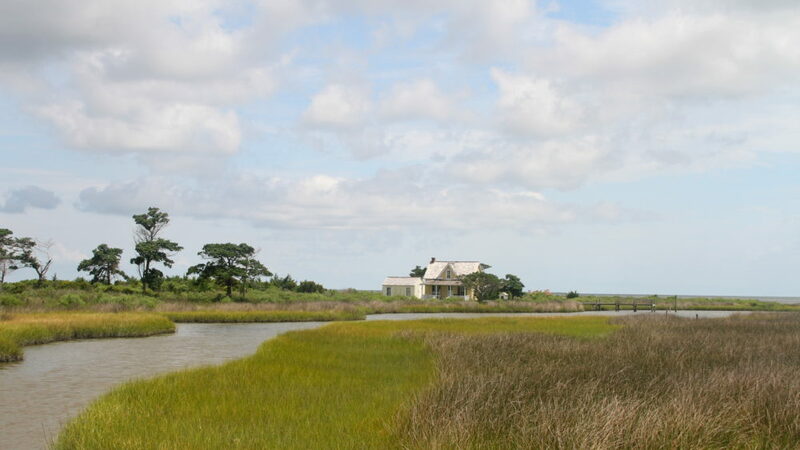 Goose Creek State park is north of us and is located on the Pamlico River. It has an interesting beach along the river with live oaks going down to the water, some beautiful pine forests, and a half mile boardwalk through a pretty swamp (no, that is not a contradiction). 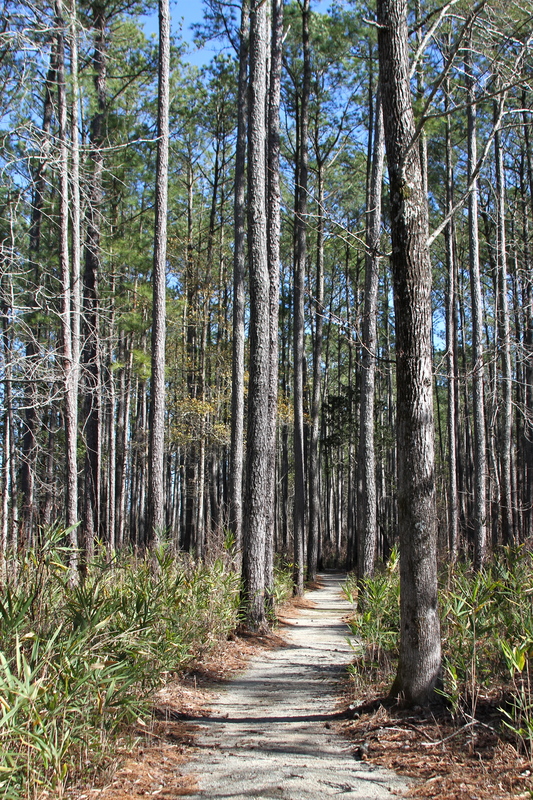 Nicely maintained trails wander through a forest of towering longleaf pines. See, the swamp really is pretty! I’ve noticed that many parks in the south have boardwalks through swampy and marshy areas, I love seeing them up close and getting a perspective that I wouldn’t from dry land. 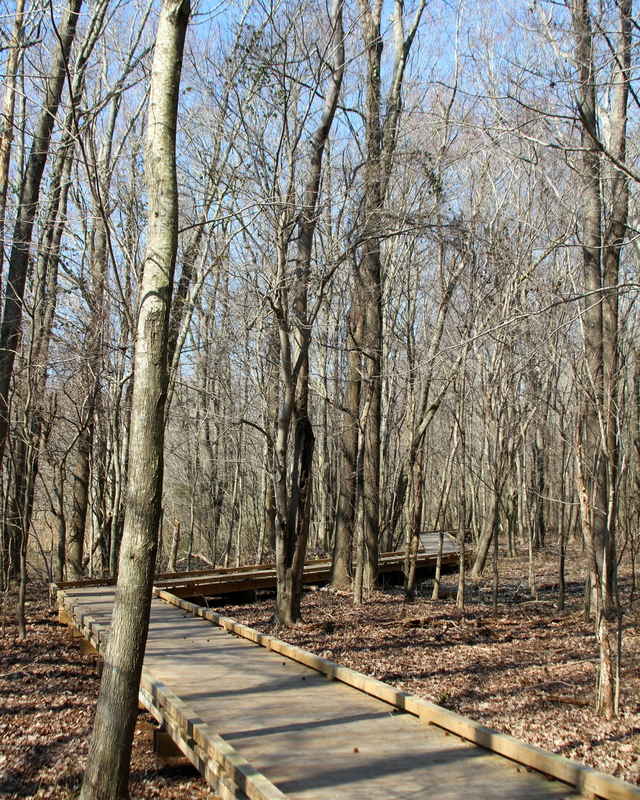 This entry was posted in Hiking, North Carolina on February 9, 2016 by RyanMcGurl. This entry was posted in Hiking, North Carolina, Winter, Wordless Wednesday on January 26, 2016 by RyanMcGurl. This entry was posted in Autumn/Fall, Hiking, Travel, Wordless Wednesday on September 16, 2015 by RyanMcGurl. 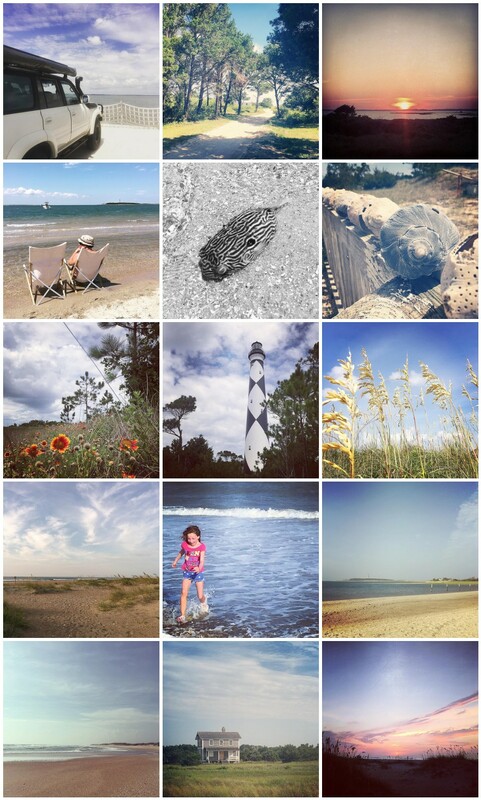 Last week we went camping in the National Seashore again. This time on the South Core Banks, which I prefer to the North Core Banks. The Lighthouse and other historic buildings are on the Southern Island, as well as some great swimming spots, and I find a lot of seashells here too. One of our trucks on the ferry. Dirt road through the historic village. Sitting in the tide pools. We saw a shark, so we decided not to gout outside the sandbars that afternoon. A beautiful view of the beach from the cabin. A friends daughter running from the waves. She wasn’t quick enough. Sunrise. Wasn’t it nice of Sasha to wake me up at 6 am so I could see this? 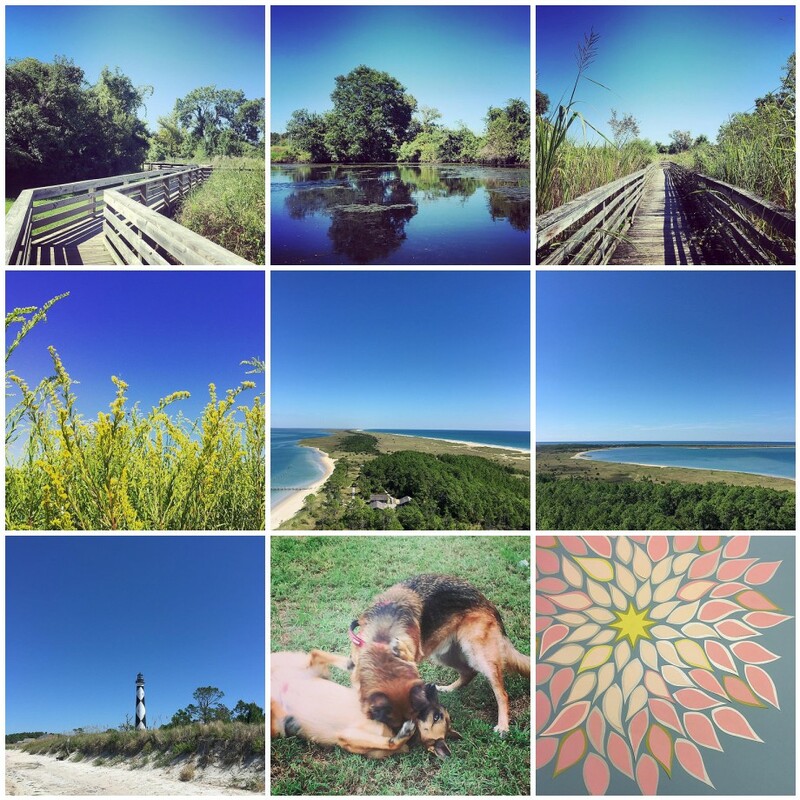 This entry was posted in Beach, Hiking, North Carolina on August 3, 2015 by RyanMcGurl. 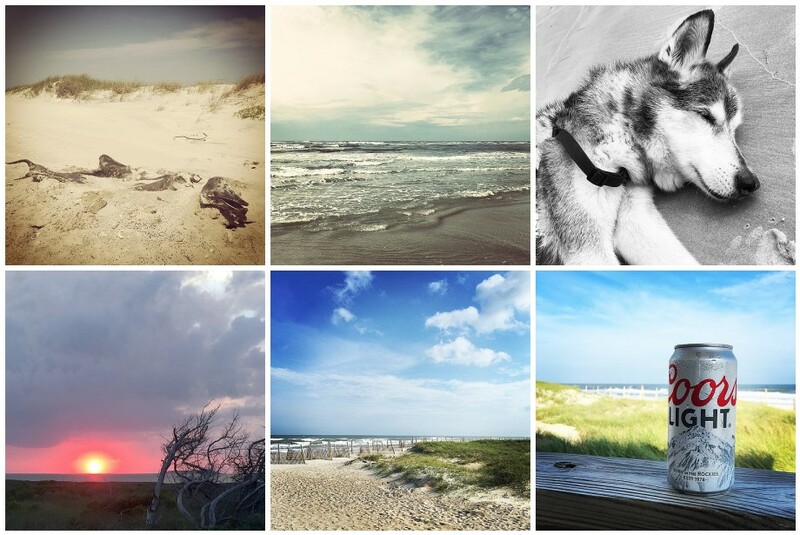 About a month ago, we went camping on the North Island of the Cape Lookout National Seashore. 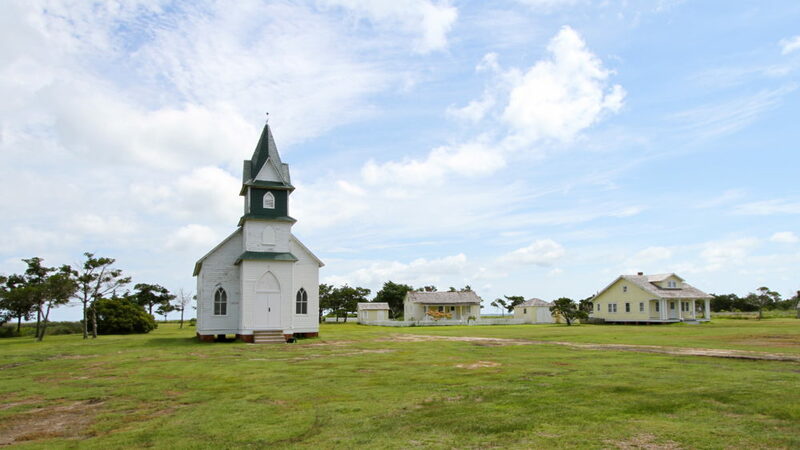 We love to go out here because it is so empty. 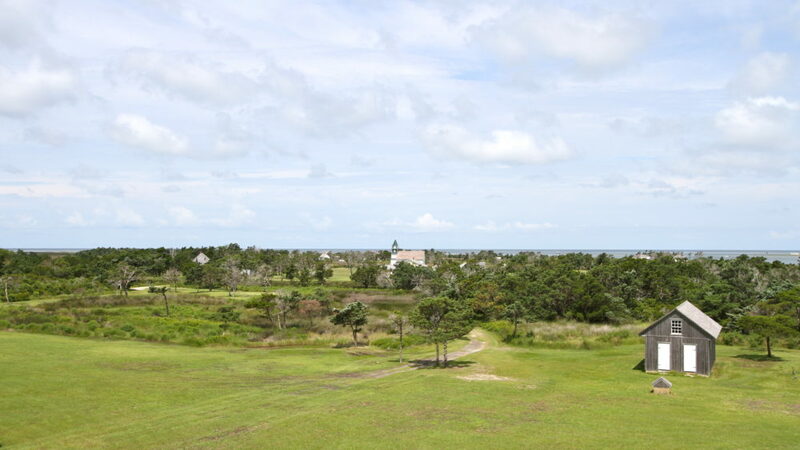 Its basically just a big stretch of beach on the ocean side, and some grass covered sand dunes and marsh on the sound side. A picture of a dead thing I took to send my sister in law (all in fun, not because I’m sending her a subtle message). I think its a dolphin or a small whale. Rough seas, it was windy most of the week. We just drive until we find a good tide pool to play in when its like this. My old man, Chewbacca, taking a nap on the beach. A beautiful sunset over the marsh and Core Sound. Although I still have a lot of hiking that I haven’t blogged yet, its recently occurred to me that the year is more than halfway over, and I’m quite far behind on reaching my goal of 500 miles. 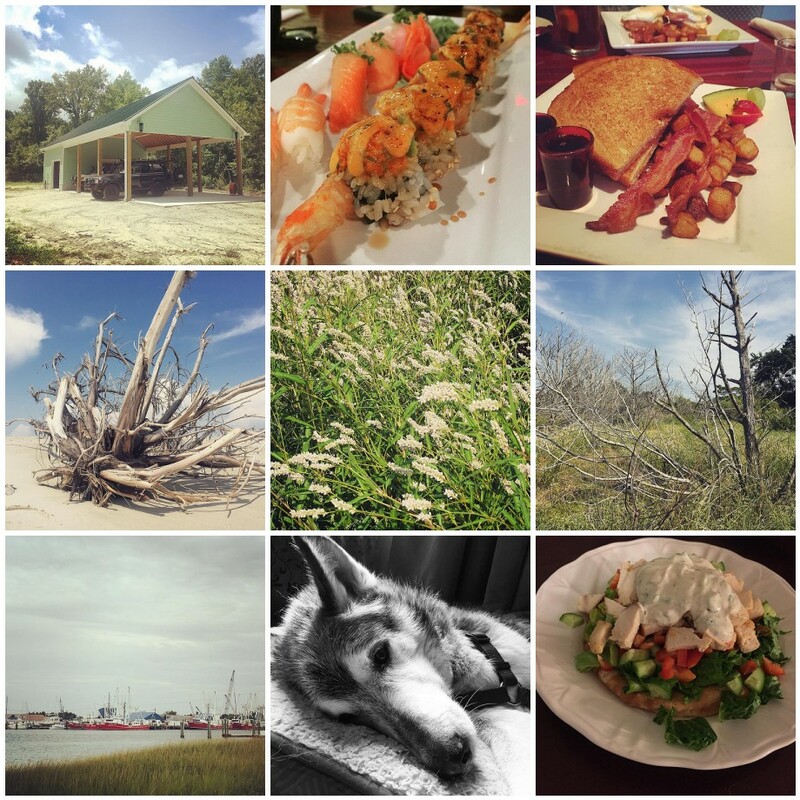 This entry was posted in Beach, Hiking, North Carolina, Travel on July 31, 2015 by RyanMcGurl.